Amabile Boys & Men Celebrate 25 Years! 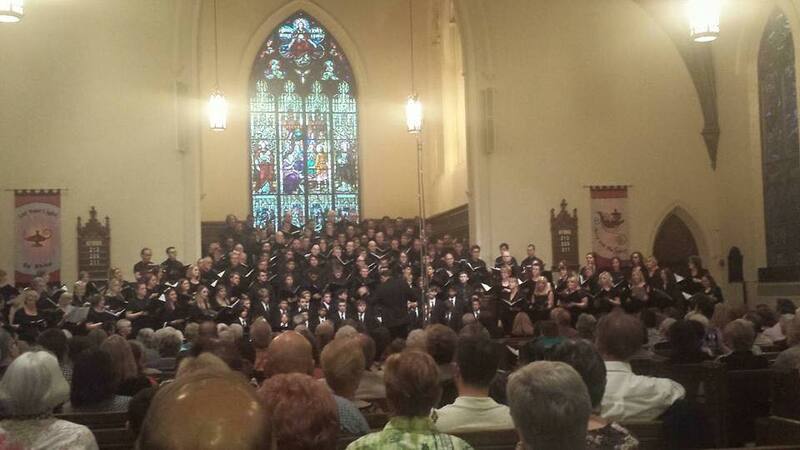 Sing Your Song was an amazing evening of music! Hard to believe that a quarter of a century ago, a young boy whose two sisters were singing with Amabile Choirs, why there wasn’t a choir for him to sing in. 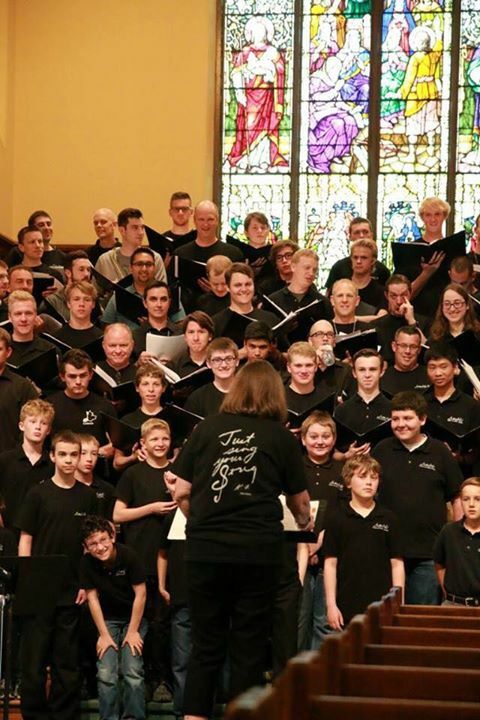 The ABMC celebrated their silver anniversary Saturday night with a concert program that also celebrated the man who replaced Bevan when he moved on to other endeavors, Ken Fleet. 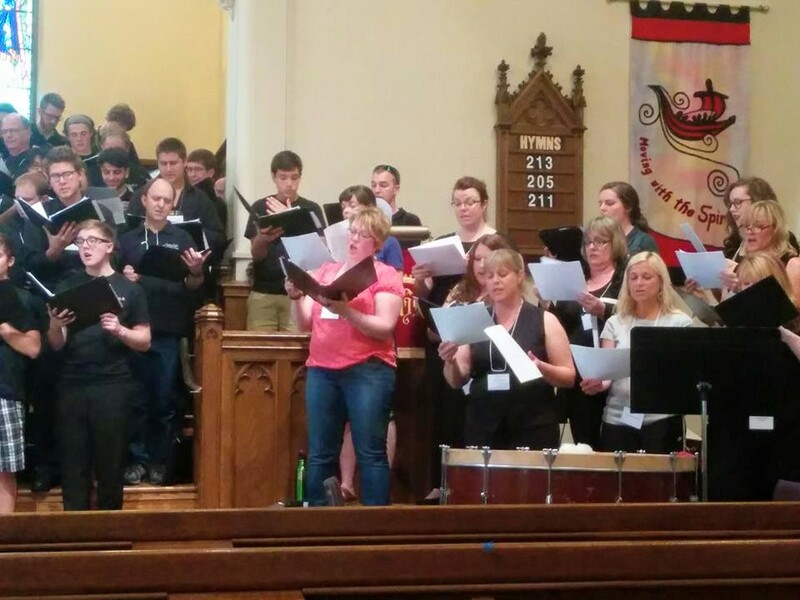 Fleet was already well-known across the country, having taught choral and instrumental music at Medway High School for three decades, developing one of the largest and most successful choral programs in Canada. 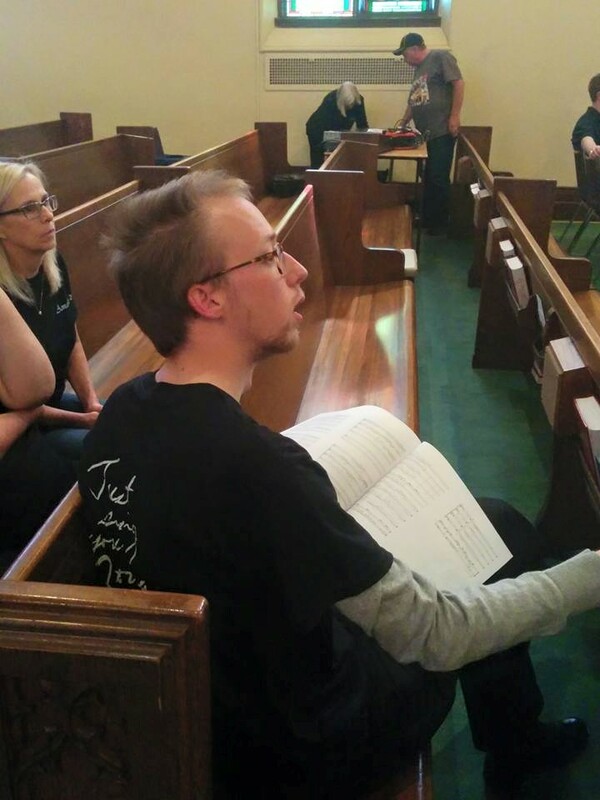 Ken also conducted London Pro Musica for 22 years; and taught choral conducting and music education at UWO’s Don Wright Faculty of Music. While the family suspected Ken might have Alzheimer’s, the diagnosis was confirmed four years ago. The concert’s title “Sing Your Song” came from a video that the Alzheimer’s Society of London & Middlesex created, that featured Fleet. Ken was in the early stages of Alzheimer’s and said that to get through the day, you needed to get up every morning and just ‘sing your song’. One of the highlights of the evening was the world-premiere of a commission by Amabile, from Composer-in-Residence Matthew Emery, an Amabile alumni and former chorister of Fleet’s at Medway. 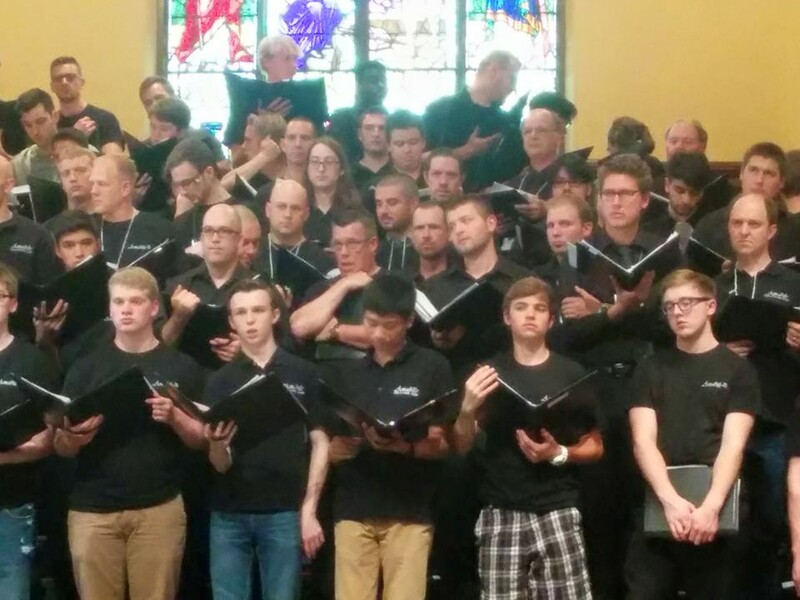 The work, entitled, “Sing Your Song” was created to depict Ken musically, and to bring artistic life, and the ‘joie de vivre‘ that these choirs have come to symbolize across Canada, and around the world. Other music selections for the night, were chosen from a long list of Ken Fleet favourites: Danny Boy, Operator, Loc Lomand, I’se the B’ye, The Storm is Passing Over and Bridge Over Troubled Water. 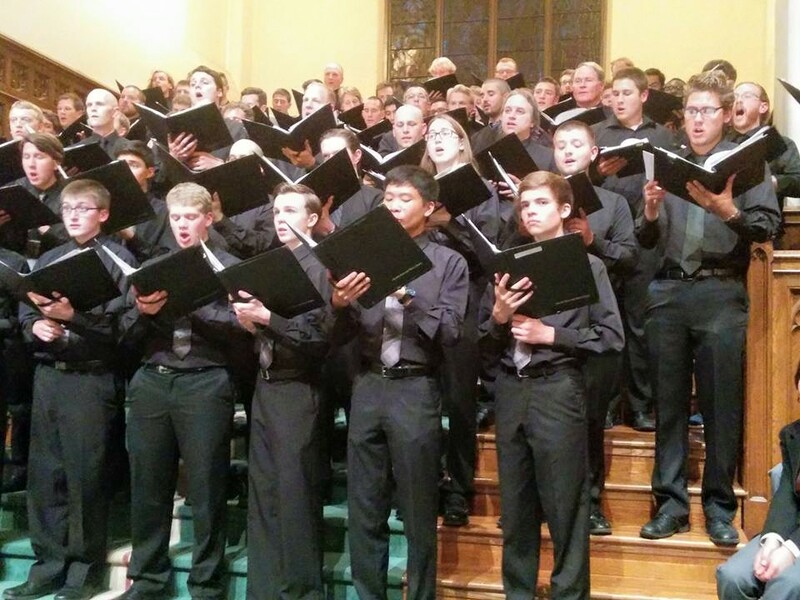 Besides the Amabile Boys & Men, the evening featured a few dozen Amabile alumni, plus former members of Ken’s Medway High School choirs, London Pro Musica, Ontario Youth Choir and UWO choirs, who all came to sing in Ken’s honour. So many wanted to pay tribute to a beloved music teacher, conductor, and friend that the concert was sold out, days in advance. Congrats to Prima & Primus!